On 27th March 1948, the territory hungry newly created rogue state of Pakistan invaded the independent nation of Balochistan. Balochistan, the geographically diverse land stretching from the north-western part to the far western part of Bharatiya subcontinent, is home to years old culture, history, ethnicity and legacy. This, mostly barren but beautiful land of varied history, was once at the forefront of human development and cultural progress. The mountainous land has always been the gateway to Bharatiya subcontinent for the people of Afghanistan, Central Asia, Iran and Middle East. Balochistan is a land of huge importance and has become an immensely significant strategic and geopolitical seat. It has land connections with landlocked Central Asia via Afghanistan and enjoys coastal connection with one of the most important waters of the world. The significance lies not only in the strategic importance but also in the economical one as it is home to ample amount of natural resources and precious metals and abundant amount of energy resources including rich deposits of natural gas. The Balochs have been struggling for decades to get their land freed from foreign occupiers. Their tale of oppression started from the 1800s when British invaded Balochistan on 13th of November 1839, capturing all their land through destruction of properties and murder of thousands of Baloch tribesmen. After fighting for their rights for years, Balochistan got freedom from the clutches of British in 1947. But their freedom was jiffy and they were invaded by Pakistan in March 1948, capturing their land. Since then, Balochs have been fighting for their freedom and there have been five major conflict between Baloch freedom fighters and Pakistan Army. There are many reasons for the Balochistan conflict. One of the major causes behind the conflict is the loot of Baloch resources and systematic oppression of Balochs by the Punjabi interest. The occupiers have systematically looted the Baloch resources and used those resources against the Balochs. The gross human rights violations and prosecutions of Balochs locals, extra judicial killings and “systematic imprisonment, torture, abduction and execution of baloch” has been a major driver of conflict enforcing local people to pick up the arms against the authorities. The rule of invaders has drastically lessened the importance of the nation of Balochistan. The geopolitical and economic significance of the region has also proven to be a double-edged sword for them. It was this same significance which invited a territory-hungry, newly created state of Pakistan to invade them. And it is the same significance which is the reason behind the silent invasion by another territory and resources hungry communist state of China. The resources, which were meant to be beneficial to Baloch tribesmen, did little good for them. The economic and cultural oppression of local Baloch has left no option for Balochs but to stand up against atrocities and struggle for their rights. The hegemony of authorities, gross inflicted atrocities and human rights violation of tribesmen has created an intense struggle for independence. Another major conflict driver in the Balochistan is the ethnic Baloch-Pashtun-Punjabi divide. This triangular ethnic rivalry has long added fuel to fire and has widened the rift between the three ethnic groups. Though Pashtuns have never allied with Punjabis, both of them pose different forms of challenges to the Baloch tribesmen. No wonder the Baloch sees the Pakistani Army, a group dominated by Punjabi interests, as their biggest enemy. In between all the major conflict drivers, no doubt the biggest and most strong reason is the independence of what was once a sovereign baloch nation. The history of how Pakistan invaded and captured the independent nation of Balochistan is known to everyone and especially well-known among the people of Balochistan. The story of their brave ‘Martyrs’, who died fighting for freedom of their land, echoes in every baloch child’s mind. They would never accept the foreign occupation, dominance and hegemony of Pakistan. The current fight, which is dubbed as the fifth conflict, is the longest and most powerful conflict against the Pakistan till date. Baloch Sarmachars (freedom fighters) are fighting heavy battle everyday with oppressive authorities and diabolic brutish regime of Pakistani Army. Among all the groups fighting for Baloch cause, the most valorous, mettlesome and doughty resistance comes from Balochistan Liberation Army (abbreviated as BLA). Although it is widely accepted as BLA was formally formed in summer of the year 2000, some political and military analyst says it was formed in 1970s. 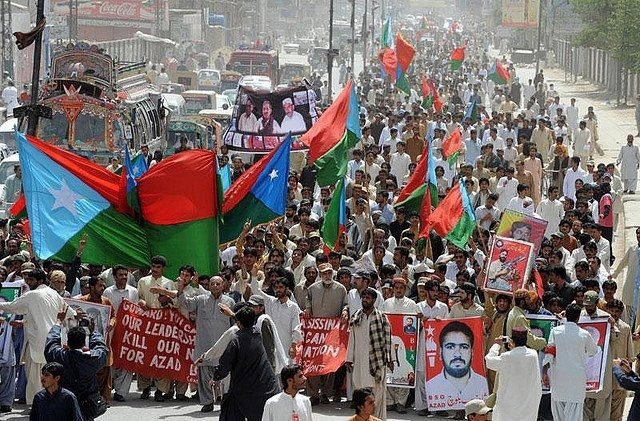 “The Balochistan Liberation Army (BLA) is a Balochi ethno-nationalist militant organization fighting against the Pakistani government for greater regional autonomy for the province of Balochistan.” says the Stanford report. BLA had prominent leadership in the past and most of them were ‘martyred’ including Nawab Akbar Khan Bugti, Khair Baksh Marri and Mir Balach Marri. BLA fighters have taken a stronghold in most parts of Balochistan and are intensely fighting with the occupying state of Pakistan. Balochistan Republican Army (BRA) is another group fighting with Pakistani forces for their land and rights. BRA is believed to be the armed organization of Balochistan Republican Party (BRP). Balochistan Republican Party is headed by Brahumdagh Khan Bugti. Brahumdagh Bugti is the leader of Bugti tribe and is alleged to be living in exile in Switzerland. Another major group fighting against Pakistani forces is the Balochistan Liberation Front (BLF). BLF is considered to be oldest active group fighting and resisting the Pakistani Army. BLF was founded by Jumma Khan Marri in 1964 in Damascus and since then has been active in Baloch freedom movement. The current leader of BLF is Dr. Allah Nazar Baloch who is leading the group since 2009. The most well-known organization among all is the Balochistan Students Organization (BSO). BSO was formed on 26th November 1967 in Karachi and since then its role has changed drastically. BSO was split up into different parts in the due course of time. Most significant and nationalistic among all being the BSO Azad founded by Dr. Allah Nazar in his student days. BSO Azad is mostly involved in politically unifying all tribes of Balochistan to stand up against Pakistani authorities’ inflicted atrocities on them. The current conflict is a legacy of years of struggle and doughty valorous resistance to invaders and foreign occupiers. It is the legacy of various organizations and tribal groups who have all stood firm against any force trying to exploit or harm the Baloch interest. Years of economic and socio-cultural marginalization and years of prosecution, abduction, killing and execution of local Balochis has forced them to pick-up weapon against the oppressive regime. The facinorous and malevolent attitude of Pakistan authorities has done immense harm to economically backward Baloch tribe. But this time Balochis are fighting and their current resistance is strongest and most powerful in the recent history. A student and two time state topper in Astrophysics and Art of Lecturing. Primary focus areas are Indology and Economics.